The repertoire of major choral works for smaller scorings in our catalog is being constantly expanded, so that more choirs will be able to perform arrangements of larger-scale works. Antonín Dvorák's impressive Stabat Mater arranged for soloists, chorus, and chamber orchestra is the latest publication in this series. In every century, LOVE is probably the most frequently-celebrated theme. The choral anthology brings together 40 love songs from all eras in well-known and new, easy-to-sing settings. Also there is available a collection of easy playable piano accompaniments of 80 love songs. 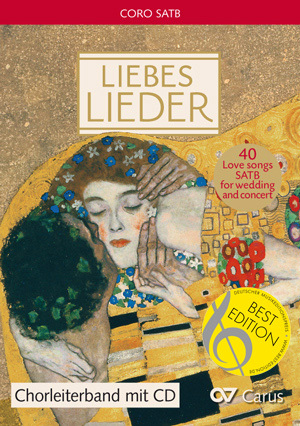 The hardcover book brings together texts and melodies of 80 love songs from all around the world, including a sing along CD, with illustrations by Gustav Klimt. Two exceptional CDs contain a selection of wonderful old and new love songs, sung by internationally reknown artists. 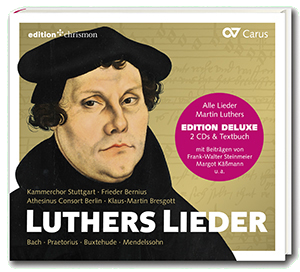 For the 500th anniversary of the Reformation a collection of all 35 hymns by Luther is being released on a double CD for the first time. The Lutheran hymns in choral settings and chorale cantatas from the 16th century to the present day are performed by the Kammerchor Stuttgart under the direction of Frieder Bernius and the Athesinus Consort Berlin conducted by Klaus-Martin Bresgott. There are settings of Martin Luther's hymns in various Carus editions. Browse through our website and compile your own individual program for the Reformation anniversary! The repertoire of major choral works for smaller scorings in our catalog is being constantly expanded, so that more choirs will be able to perform arrangements of larger-scale works. 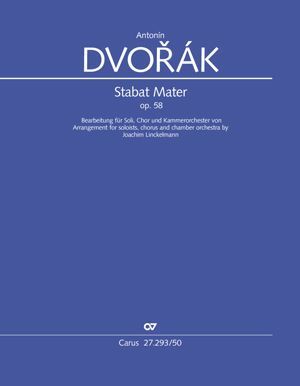 Antonín Dvorák's impressive Stabat Mater arranged for soloists, chorus, and chamber orchestra is the latest publication in this series. 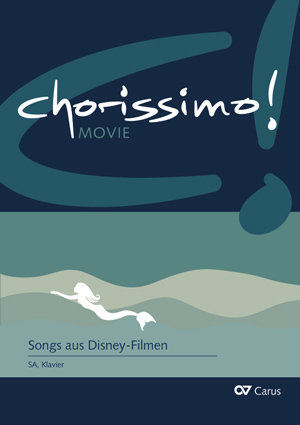 63 hymns are arranged in the form of "modular settings"
Disney films endure to a great extent because of their soundtracks. Many songs continue to enjoy fame and popularity decades after the film premieres. The songs in this volume received many awards including Oscars and Grammys. Because the tunes are so catchy, they are timeless, appeal to many generations, and have a life of their own aside from the film. 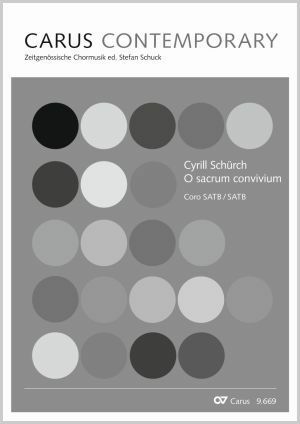 In O sacrum convivium Schürch exploits the polychoral compositional techniques of the late Renaissance to the full. 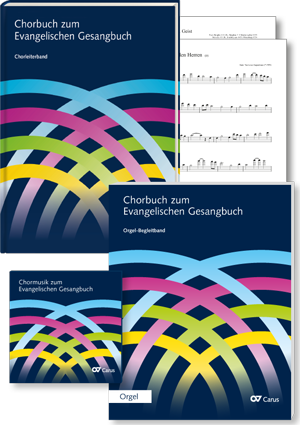 Also new available ist Kay Johannsen's Veni, a work for three choirs SATB and organ. 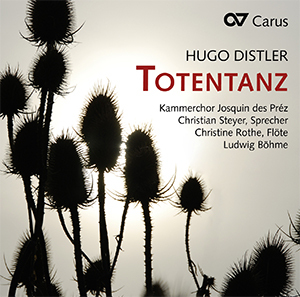 In 1934 Hugo Distler was just 26 years old when he started composing one of his most unconventional works ever, his motet Totentanz. The 14 aphorisms for Eternity Sunday are sung by the Kammerchor Josquin des Préz conducted by Ludwig Böhme. 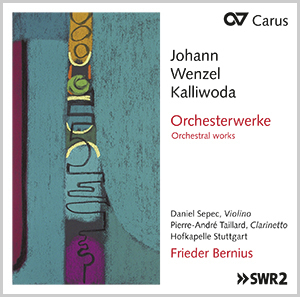 Frieder Bernius is one of the few who, out of conviction, has been active in the rediscovery of Johann Wenzel Kalliwoda. On the occasion of the 150th anniversary of the death of the long-serving Fürstenberg court kapellmeister on 3 December 2016, Bernius and his Hofkapelle Stuttgart are focusing on the composer’s instrumental works. Charlotte Mohns does not know how often she has already flicked through the book and grinned to herself with every picture. That's why the song book also makes a lovely present – because it immediately gives pleasure to children, parents, and anyone else the first time they look at it.